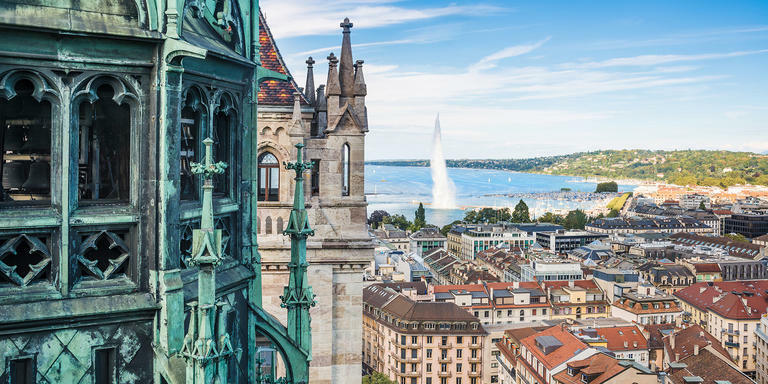 A page of Geneva's history is cut in the rock: the monumental Reformation Wall tells the story in the historic Parc des Bastions. It is impossible to visit Geneva without seeing its most famous landmark: the Reformation Wall. Measuring 100 metres in length and five metres in height, it is as imposing visually as it was politically when it was erected. Known as ‘Protestant Rome,' the little republic of Geneva became the headquarters of Calvinism—the most rigorous form of Protestantism—in the 16th century. The Reformation Wall pays tribute to this period during which Calvinism marked the town and became embedded into its citizens' way of life. The statues of four of the founding fathers of the Reformation—Farel, Calvin, Beza, and Knox—rest against the old city walls, rising majestically in the elegant Parc des Bastions. 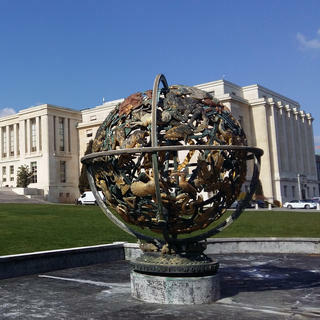 In bright daylight, and illuminated at night (Geneva's motto is not for nothing Post Tenebras Lux, meaning ‘After darkness, light'), the whole ensemble is protected by a water basin, recalling the moat of the ancient fortifications. The impressively rigorous statuary is the work of French sculptors Paul Landowski and Henri Bouchard. Bouchard also sculpted Les Quatres Races facing the Botanical Garden and Christ the Redeemer at the peak of the Corcovado mountain in Rio de Janeiro.